Aleta has been at SUNY-Brockport since 2011. 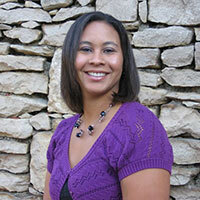 Although a native of Colorado, Aleta completed her Bachelor's degree at the University of Nebraska – Lincoln in English and French and her graduate degree from the University of Missouri-Kansas City in Higher Education Administration. Aleta has studied abroad in Côte D'Ivoire, Africa and in France. 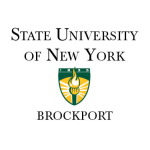 Aleta advises full degree seeking international students applying to SUNY-Brockport as well as leading recruitment for the college abroad. Aleta also works with students interested in enrolling into Brockport's English language center (ELS) and teaches the Academic Planning Seminar for new international students. If not in her office assisting students, she is traveling the world meeting new students and promoting the wonderful opportunities SUNY- Brockport offers. Founded in 1835, SUNY- Brockport is a nationally recognized four-year comprehensive public university focused on student success. Brockport is proud of its academic quality and exceptional value. The State University of New York – Brockport is rated among the “Best in the Northeast” by The Princeton Review and ranked among “America's Best Colleges” by U.S. News and World Report. Brockport offers 49 undergraduate majors, 49 master's degree programs, and teacher certification in 24 areas. At the heart of SUNY- Brockport is a multi-dimensional education that prepares students for success — personally and professionally. With an array of academic programs and co-curricular activities, we invite students to explore their intellectual, creative and athletic potential, and to pursue their full talents.